Last week, I posted an article about the partnership of WeChat and Lazada Philippines for the latter’s 2nd Anniversary. It is no surprise that the collaboration of the two companies succeeded when they sold hundreds of tablets just hours after the announcement was made in various websites! The number of WeChat users surely loved the promotional antics of Lazada that’s why the feedback has been good so far. Who wouldn’t be tempted to shop if it is done through WeChat’s interface, which is easy to navigate? To further show their gratitude and appreciation to the loyal shoppers, Lazada is rewarding them with big discounts on best-selling items! 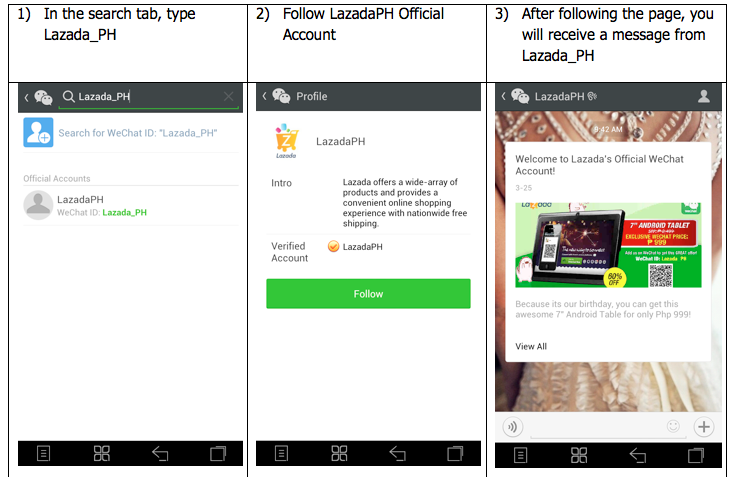 The new promotion will give custimers the opportunity to purchase their favorite Lazada items via WeChat. Download WeChat for Free and have the chance to purchase exciting ‘Best Deals’ from Lazada! Shop conveniently through your mobile phone! 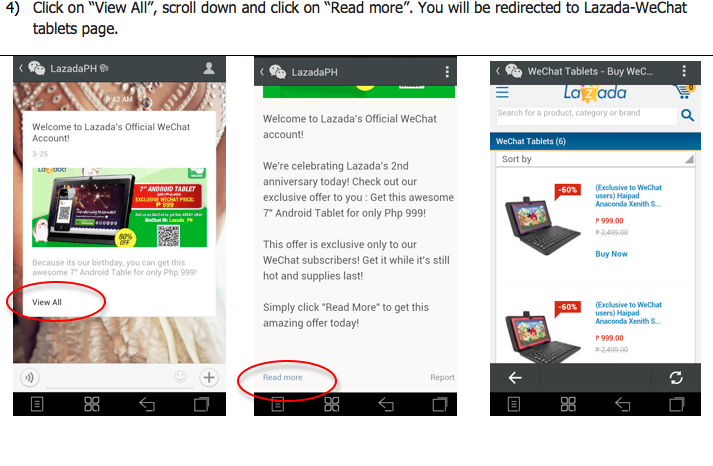 Follow LazadaPH now on WeChat! 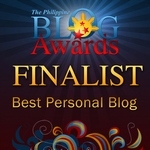 For more details, feel free to visit Lazada (http://www.lazada.com.ph) and WeChat (http://www.wechat.com). Ciao!